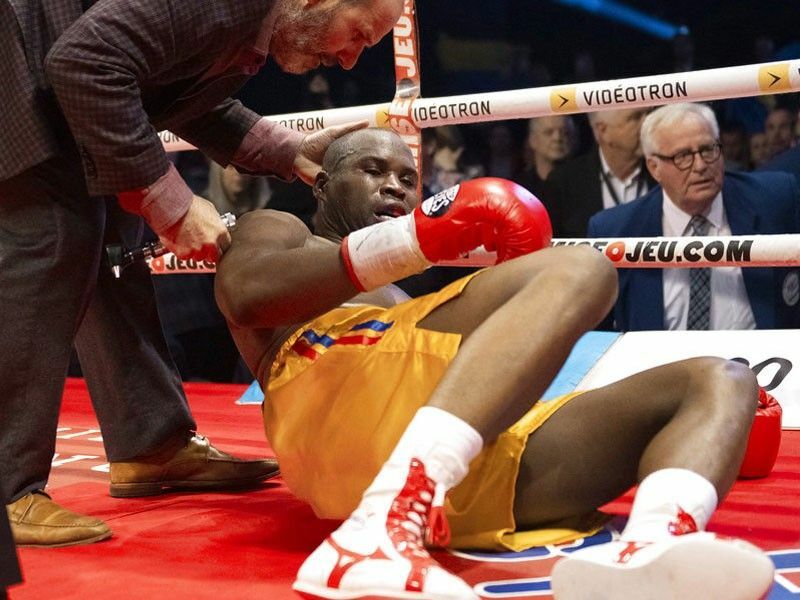 MONTREAL — Canadian boxer Adonis Stevenson remained in an induced coma in a Quebec City hospital Monday night (Tuesday Manila time), nearly 48 hours after being knocked out in his light heavyweight title fight. Oleksandr Gvozdyk stopped Stevenson at 2:49 of the 11th round Saturday night (Sunday in Manila) to take the Canadians' World Boxing Council light heavyweight title. The Montreal-based Stevenson was put on a stretcher after the bout and left Videotron Centre in an ambulance. He was making his 10th title defense since winning the belt against Chad Dawson in 2013 and was ahead on two of the judges' cards and tied on the third when he was stopped. Stevenson dropped to 29-2-1 with his first loss since 2010 and first in Canada.